I love things that are personalised. Yup, it just adds the extra personal touch and makes the item so much more unique and sincere. 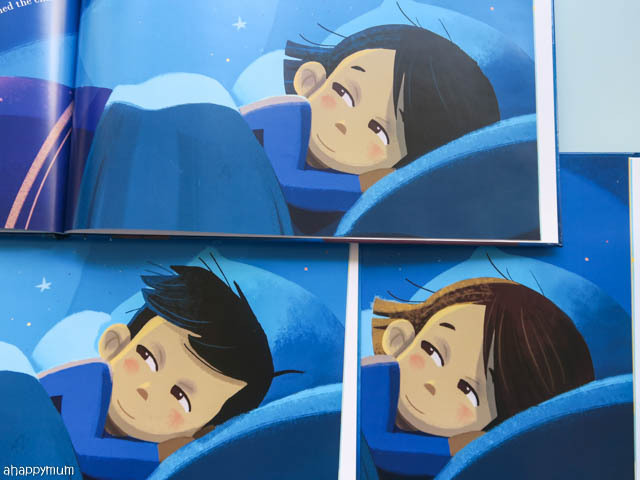 That said, when it comes to books, it's very rare that we get a book that is personalised for every kid. You might be able to write your name, paste some stickers or use a special bookmark but eventually, the book content remains the same as the other books which have been bought off the shelves. 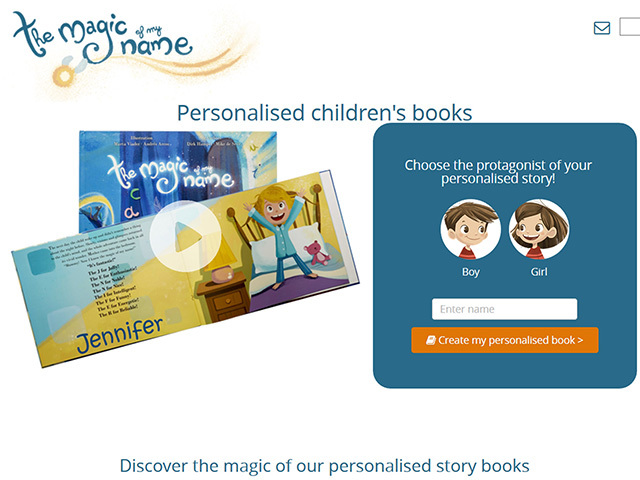 So, how do you actually personalise a book? 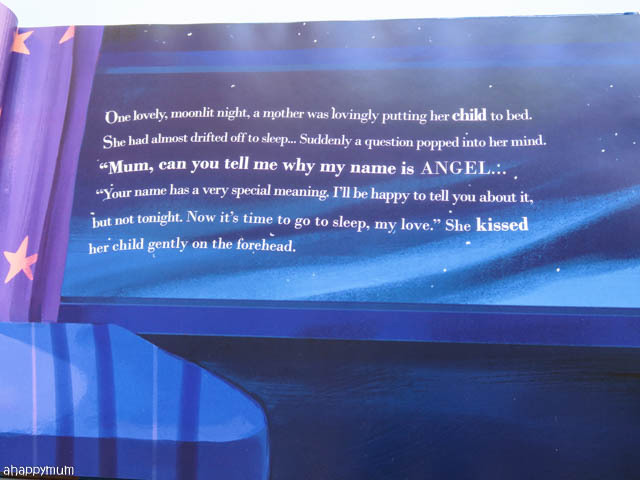 If you can have a book that tells a story about your child's name and is meant specially for your child, don't you think he/she will be over the moon? 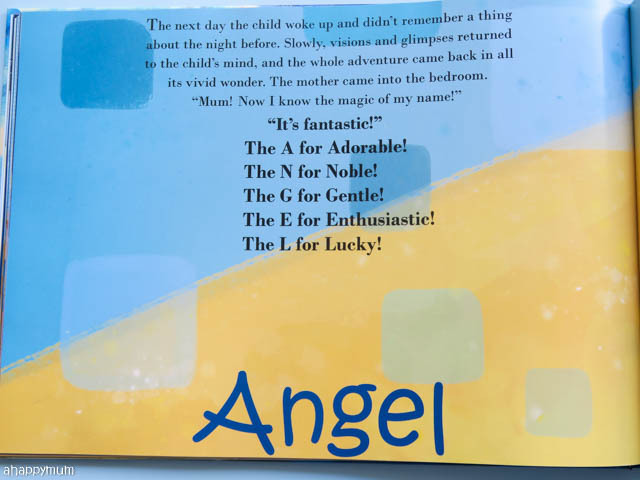 Well, my kids were definitely thrilled when they received personalised copies of the book "The Magic of My Name" from The Story Tailors, a company founded in Barcelona that strives to create unique experiences for young children and contribute educational and positive values. In this post, I'll be bringing you on a magical journey as we dive into this book and for those of you who wish to build up your library and win a personalised copy just for your child, there will be a giveaway at the end too. So read on! 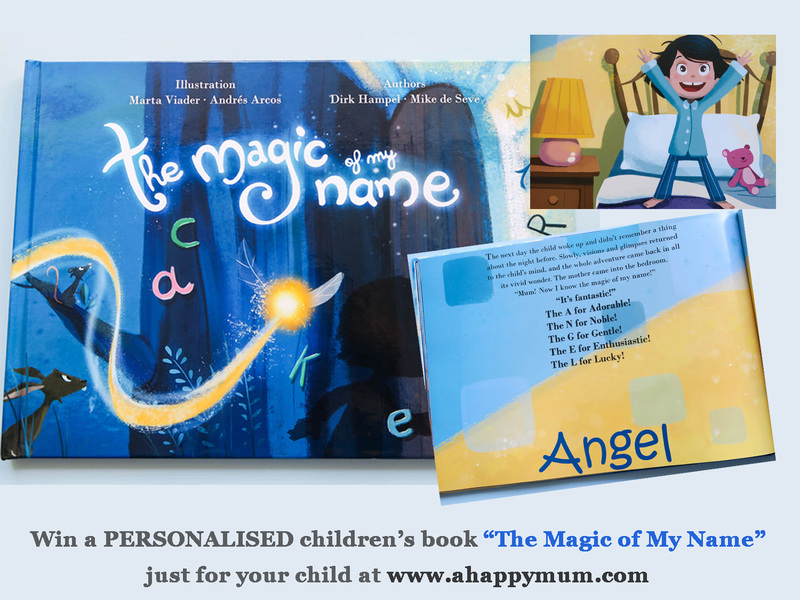 To create your own personalised version of "The Magic of My Name", it's very simple and straightforward. All you have to do is go to the website, choose the gender of your kid and enter his/her name. To make your protagonist more unique, you can also choose the hair/skin colour from the four choices given. Yes, not that many options but it still beats having none at all. Once that is done, you get to preview your book before you make any purchase. Yes, go try it out now even if you don't intend to buy in the end. 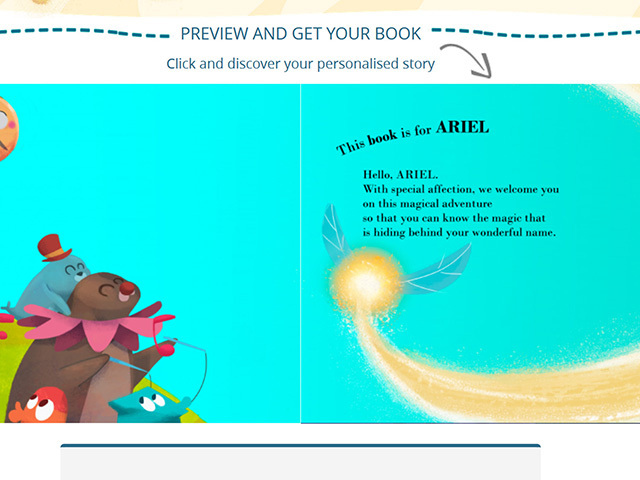 The preview allows you to see not just one or two pages, but ALL of the pages from front to back cover. 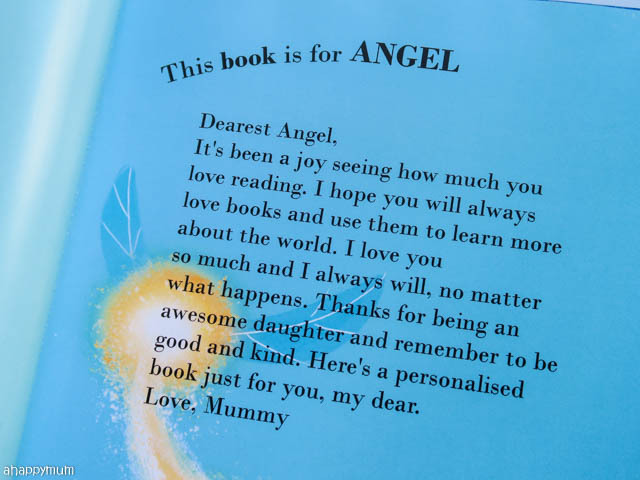 To make it even more special for your child, you can include a personal message or dedication for him/her which will be printed on the first page. Once that is done, all you have to do is add to shopping cart and check out to complete the purchase. Easy, right? I'm pretty sure this will make an awesome birthday gift or just a heartfelt gift for that special kid in your life. Here's a quick look at the contents. Do you love the illustration on the cover page? 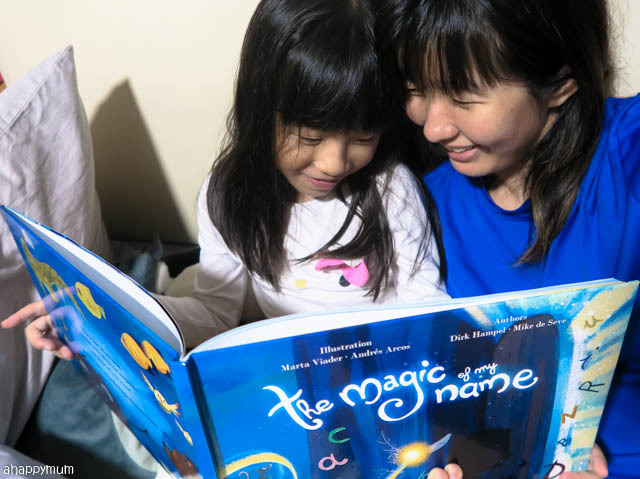 There's something so mysterious, exciting and adventurous about it, which is a perfect fit for a story that takes you on a magical journey to find out the meaning behind your name. Whenever we read the book, the kids always want to read my message for them out loud. Again and again. Yup, it's kind of their favourite page for some reason and they love hearing my 'voice' and feeling my love for them in just these few short lines. The story begins with the child asking how his/her name came about and the meaning behind it. It really thrills the kids to see their names printed there in bold and makes them look forward to reading the rest of the story. From there on, you will enter a colourful, magical world and go on an adventure with the character. He/she goes through a series of interesting encounters and along the way, he/she realises what each of the letter in his/her name means. If you have a recurring letter in your name, rest assured that there will be a different story and different meaning for each of them. The stories for each letter are longer than I thought, each taking up around four pages. So even though the kids' names only have five letters each, this book still suffices as one of our 'longer' bedtime stories and takes quite a while to read from start to end. To avoid boring the kids, I definitely recommend using just the first name when you purchase even though it will cost the same as doing one with the surname. You can use a maximum of 12 characters and a minimum of 2 when you type in the name and the price remains the same. 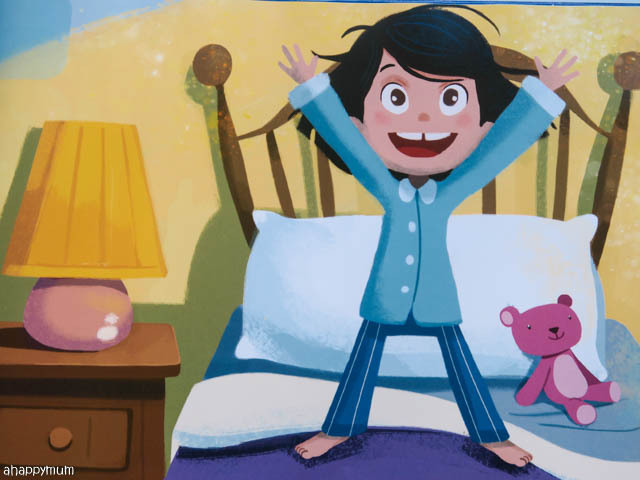 One of our favourite parts about the book is the illustration, in particular the main character who seems to be so vivacious, curious and always full of life. Some of the encounters are cute, funny and out of the norm, but the fact that they usually involve some animals makes it very fascinating for my girls. I also realise that some of the wordings are a tad different from how I would usually write my sentences, but this does not diminish the excitement and eagerness for us to read on and flip page by page to get to the ending. So what do you get in the end? Yup, you discover the magic behind your name and see what positive value each letter stands for. Now, I would have preferred if we could have chosen the individual word we wanted for our child (for instance, I wouldn't have chosen Noble' for 'N') but alas, you can't and the story is decided for you. Still, my girls love seeing their names printed in a huge font on the last page and it's also a way to teach them more about these positive values and what it takes to achieve them. 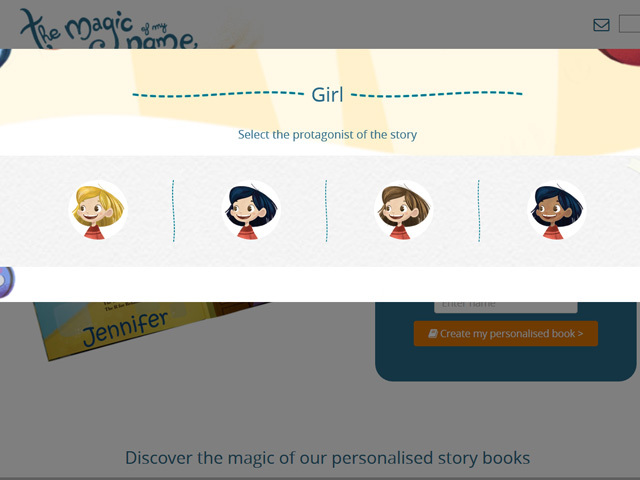 Oh, just so you can see the differences, here is a comparison of the three characters in each of our books. The black-haired girl for Angel, brown-haired girl for Ariel and black-haired boy for Asher. Subtle differences but they still make a difference and make each book more unique. 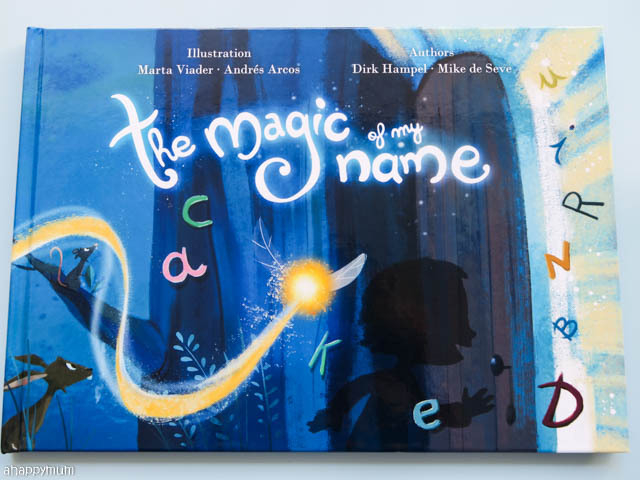 So, we are definitely enjoying reading "The Magic of My Name" during our bedtime storytelling and the fact that the girls choose this book quite often - they select which books they want to read every night - tells us quite a lot about how much they love it. As always, I try my best to share the good stuff with my readers because you are worth it. 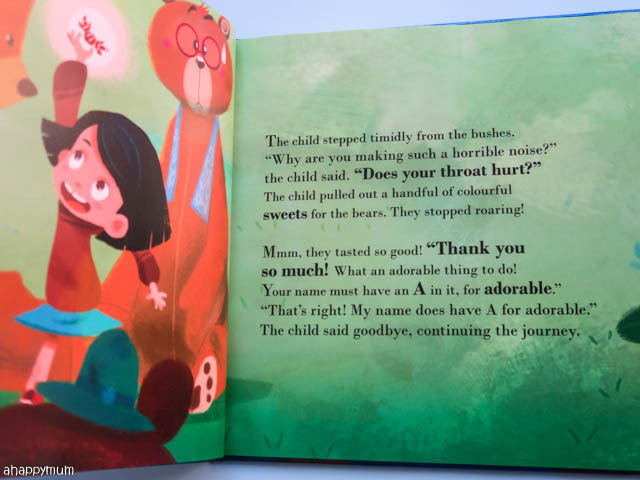 For those of you who are keen to win a copy of this personalised book for your child, here's a giveaway just for A Happy Mum readers. To participate, leave a comment in this blog post with your name, email address and share with me a story behind your child's name (you don't have to state the name if you are not comfortable with it). Indicate in the widget that you have done so and to increase your chances of winning, you can choose to carry out the rest of the options. Best of luck, everyone! 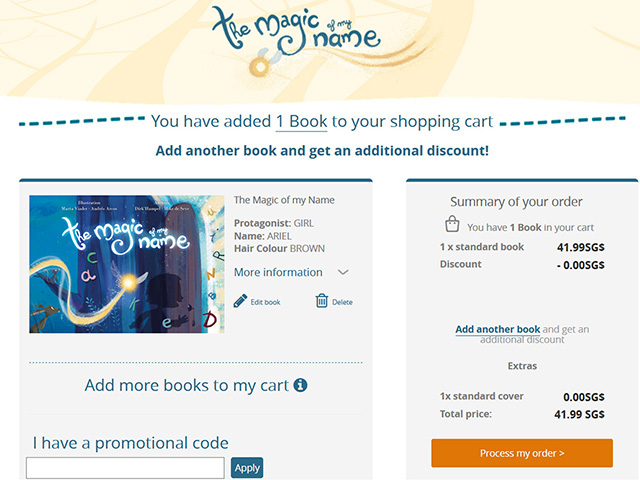 a Rafflecopter giveaway Disclosure: We received personalised copies of "The Magic of My Name" from The Story Tailors for review purposes. All opinions are our own. Nice and unique name! I've yet to know of any kids named Denzel. 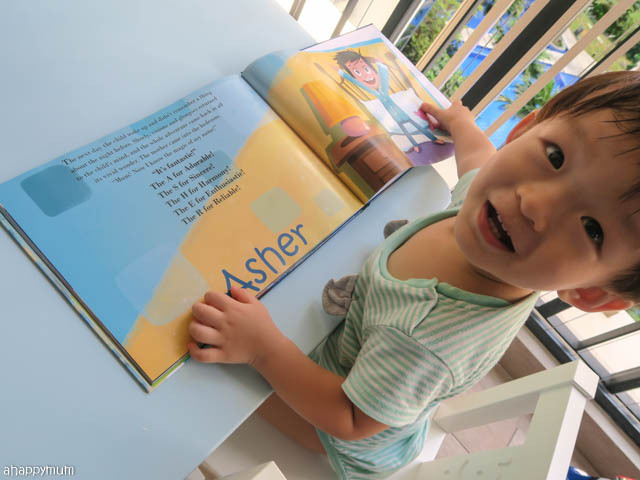 Thanks for sharing and glad to know that Denzel loves reading too! Good luck! My boy name is Hen Yu, it means perseverance and always wise..Originally Yu was raining, but i told my hubby universe will be wiser, there came this name. My gal name kai xiang. It means helping others who are in need. My girl name is shannon. The meaning of this name is wise (river). So we hope she will grow up to be wise. My girl name xinni. It means happiness and bright like rainbow. Love the meanings behind the name! Happiness and rainbows go hand in hand! My girl's name is Giselle. It come to my mind when i watched this movie Enchanted. It was a cartoon turn real life movie and the leading actress screenname is Giselle. I love the Princess who is kind, easygoing, amicablle, loving and beautiful as I hope my future child will own such characters. Truly enough, when i knew im bearing a girl, this named flash my mind. Indeed, im proudly to say my girl really grown up to be a kind, helpful girl. Sounds like a nice show to watch, we've yet to see it. Giselle is a special and nice name, makes me think of a beautiful princess too. Good to know she is growing up to be kind and helpful! R aphael is a cheerful boy. A lways smiling and cheeky. P eople loves his company. H elpful he is to everybody. A valyn is his cute lil sis. E very day he is a blessing. L oved by all, he loves all. My boy's name has a 德 and it is because we hope he grows up to be someone with the right moral values. My girl's name is special as it means patient and loyal believer. We want her to be the best, by starting with believing in her dreams and aspirations. My name is Tharika and my email address is tharika.ms@gmail.com. My baby name is something unique which local seldom heard of . His name is " Grisbourne ". And to be honest there's no meaning behind it but because we are frequent traveller in Australia so one day we visited a place name GISBOURNE and i find it interesting and nice so make a promise with my husband , if we ever have a son , we will name him Grisbourne instead . And few years later , i m pregnant and got a son . And every night i m talking to my tummy and since then i called him Grisbourne so in the end we really gave him the name Grisbourne and he do react to us whenever we called. 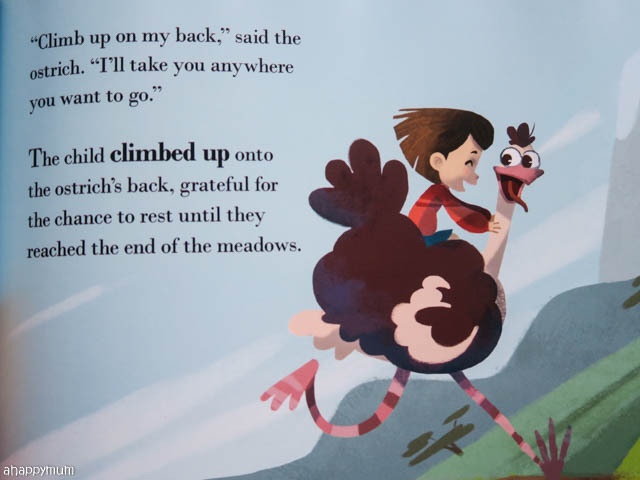 I used my son's name as a character (a boy with a dragon friend) in a little book that I came up with and hand-drawn for him for his recent 4th birthday. He loved it, and he loved to read whenever his name came up. 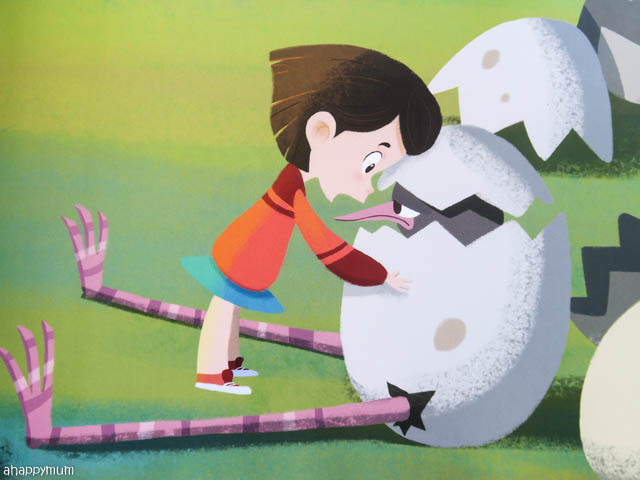 The illustrations of the book in this giveaway look really lovely. It would be great if my son can receive this book personallsed using his name. He will really be flying like a dragon over the moon! After my first born, we tried for another baby after 3 years due to a C-sect. Firstborn very much wanted a baby sister to accompany him play as he felt lonely. But alas I had an ectopic pregnancy and foetus had to be removed. It took me a while to get on with life after the failed pregnancy. A year later, I am blessed with a girl named Zya Qaila. Zya means light as she is the light after the gloom. Firstborn is very happy to have a sister and is caring towards her. Qaila means convincing. Having her convinced me that God has better plans. Although he took one away from me, He gave me a better blessing.